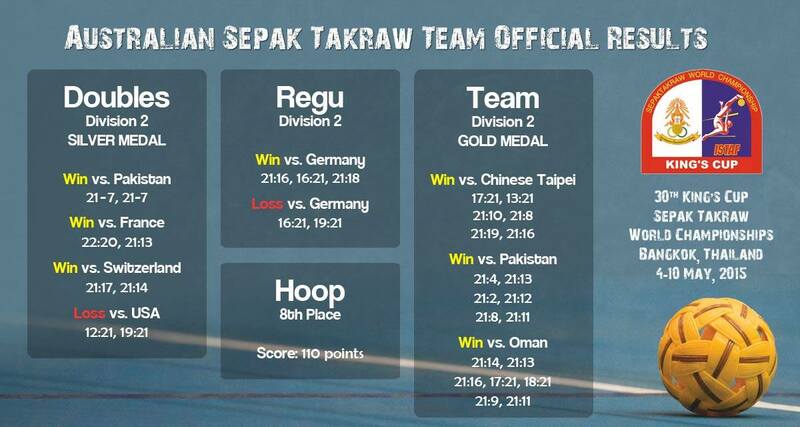 Takraw Australia - Australia wins gold! 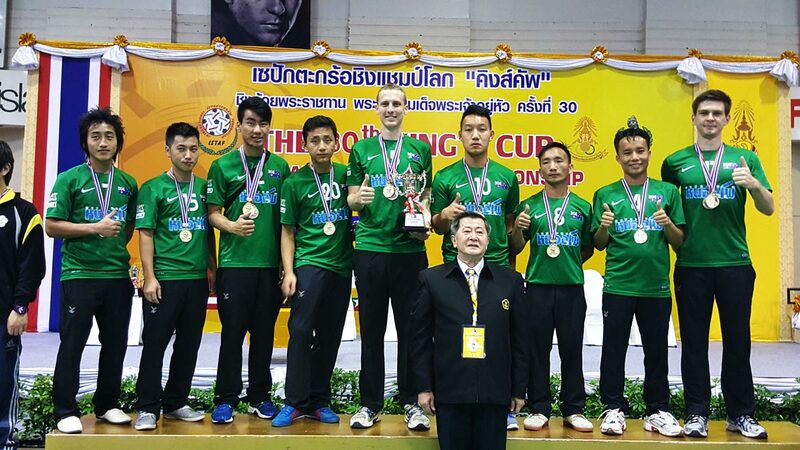 This year at the 30th King’s Cup Sepak Takraw World Championships in Bangkok, Thailand the Australian national team won gold! It’s the Australian team’s fifth ever appearance at King’s Cup and this year our team of ten players entered all four events available: hoop, regu, doubles, and team event. Hoop is an open competition, and for Regu, Doubles, and Team Event Australia was placed in Division 2. We had a fun Regu campaign, and got oh-so-close to taking the gold medal in Doubles too – narrowly losing to the USA in the final, but it was the team event in which we proved our strength! Australia was pitted against Oman, Pakistan, and Chinese Taipei. Chinese Taipei looked to be the favourites and we knew we would be in for a good match! As luck would have it, we came up against them first and as predicted it proved to be a close match! Our first regu lost as they went up against the strongest trio from Chinese Taipei, but then our second and third regus were able to maintain the upper hand and we won the match 2-1! With a win up our sleeves (or socks!) our confidence was high and we went on to defeat Pakistan 3-0 and have a really fun match against Oman where we won 2-1, and with the win over against Oman we claimed the gold! The Australian team at the 30th King’s Cup on the podium being awarded our gold medal. Sadly one of our team mates (Garry!) wasn’t able to stay for the ceremony, which is why there is only nine. It was Australia’s best yet performance at King’s Cup, prior to this year Australia hadn’t won anything higher than bronze medal and this year we walked away with both a silver from Doubles, and the gold from Team Event. Check out the image below for a full re-cap of our results and performance. The strong performance in Doubles and Team event mean that next year Australia will most likely be placed in Division 1 against the likes of strong teams such as Laos, Singapore, Philippines, Iran, India, Vietnam. 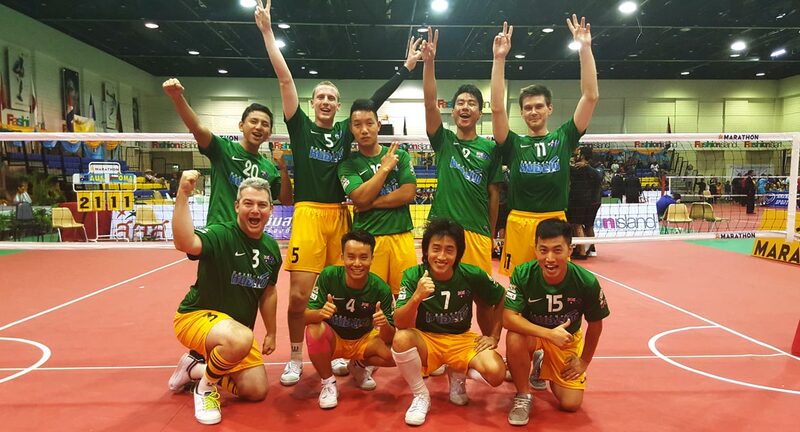 Which is super exciting for Australian Takraw as it means we’ll be fighting it out with countries who have played sepak takraw for years and gives us a new goal to train for and work towards. We’ve said it repeatedly via Facebook and on Pozible that we are immensely grateful to everyone who supported and donated for us in order to make this happen, and it’s to the supporters of Australian Sepak Takarw that we dedicate this gold medal! Additional thanks go to Nike Team Sports Australasia for helping us out with uniforms, and a big thanks to our friends at the Ratchaburi Takraw Club in Thailand for their hospitality and coaching!